The Aged Care Financing Authority’s (ACFA) ‘Sixth Report on the Funding and Financing of the Aged Care Sector’ (July, 2018) presents clear and compelling messages for government, providers and older Australians. That is, further funding reform is needed if Australia’s aged care system is to be able to effectively meet the needs of the growing numbers of older Australians. LASA CEO Sean Rooney asserts the ACFA Report highlights industry concerns that Australia’s aged care system settings, including funding, are not keeping pace with surging demand for quality aged care services. Mr Rooney said more than 1.3 million older Australians currently receive aged care services every year, including 240,000 people receiving permanent residential aged care. “With around 2,000 Australians turning 65 every week, and a further 1,000 turning 85, we know the demand for aged care services is growing rapidly,” Mr Rooney said. 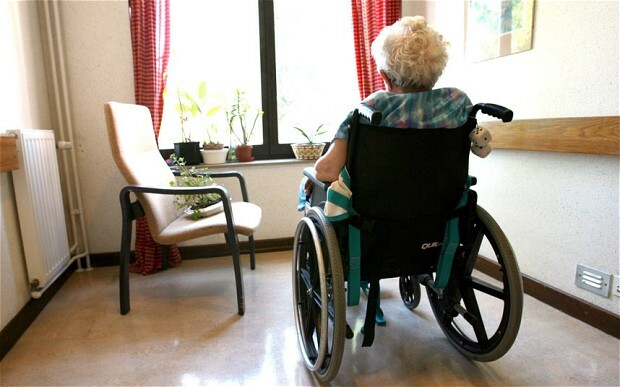 “Our industry is deeply concerned that aged care system settings are not keeping pace with the growth in demand. The report found that 68 per cent of providers achieved a net surplus in 2016-17 compared to 69 per cent in 2015-16, with an overall decline in surplus across the industry in the order of $100 million. A key finding of the ACFA analysis is that the indexation applied to Aged Care Funding Instrument (ACFI) subsidies has been noticeably lower than growth in a range of costs. Wages have grown approximately twice as fast as subsidies. There is a need for a more stable, more contemporary, more efficient and more effective funding tool and system that provides greater financial stability to both the residential aged care sector and the Government. The Government also has the continuing challenge of ensuring ongoing equity of access for all consumers and that its funding arrangements do not incentivise outmoded or inefficient care practices and use of resources. There is a need for wider recognition that sustainable aged care funding arrangements will require those consumers who can afford to do so, making a greater financial contribution towards their everyday living expenses and care costs. A solution is needed to alleviate the growing numbers of older Australians (currently around 108,000) in the national queue for home care packages. Mr Rooney said a lot of work has already been done on the policy options to ensure that Australia’s aged care system can deliver the quality care our older Australians need and deserve, now and into the future. “However, the ACFA Report clearly demonstrates the case for urgent, near term, funding support in residential aged care,” Mr Rooney said. Mr Rooney said aged care is an essential human service, assisting some of our most vulnerable people. It directly or indirectly affects almost every Australian.